Acidic Rinse/Residue Remover. Neutralizer’ utilizes 2 food grade acids to neutralize the effect of stripper and floor finish. This unique blend of special food grade acids will outperform various hazardous chemicals such as hydrochloric acids and non-food grade phosphoric acids. It is used against malador odors, does not rely on evaporation of residual acid, neutralizes effect of Selective Implosion Technology, and outperforms various hazardous residue removers. 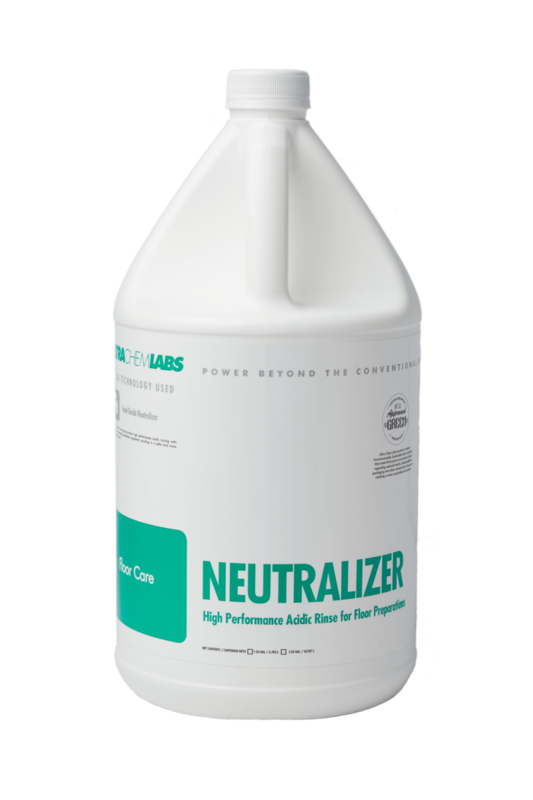 As a result of its multiple applications, ‘Neutralizer’ is an easy to manage, environmentally safer product.